Everything about our universe related to structure, constants, and yawning voids of cosmic horror. (O)ne team of cosmologists has used the oldest radiation there is, the afterglow of the big bang, or the cosmic microwave background (CMB), to show that the universe is “isotropic,” or the same no matter which way you look: There is no spin axis or any other special direction in space. In fact, they estimate that there is only a one-in-121,000 chance of a preferred direction—the best evidence yet for an isotropic universe. I have seen the dark universe yawning, Where the black planets roll without aim; Where they roll in their horror unheeded, without knowledge or lustre or name. "...now we have demonstrated conclusively for the first time that ancient stars are in the centre of the galaxy and the younger stars are found at longer distances. This is another piece of information that we can use to understand the assembly process of the galaxy, and how galaxies in general formed. Not sure why this would necessarily be in the Cosmology section, but a "pretty picture" is not the point of Gaia -- the data is. 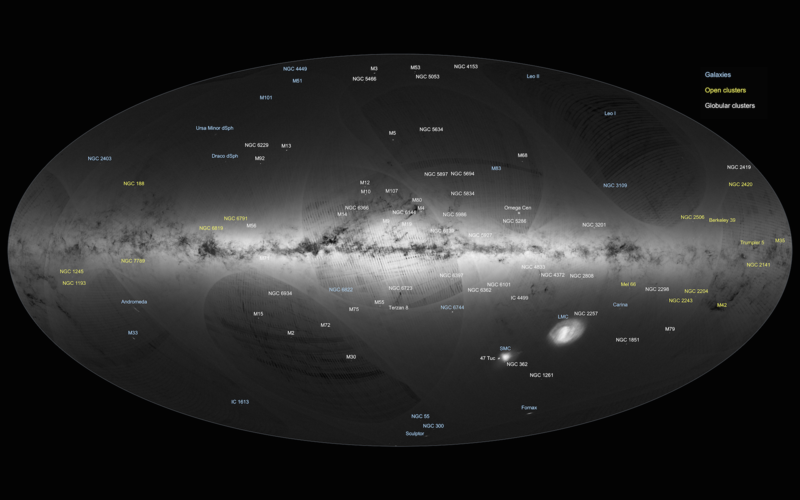 The only function of the map is to show the density of Gaia data collection (so far) as described in the text accompanying the picture. In fact, as they note, there are a number on artifacts in the current picture that will diminish as more data is collected. probably be a long process. Phil Plait weighs in on the biggest galaxy in the universe. Of course it would be the biggest known galaxy in the universe since there's probably something even bigger we haven't seen yet. The question is why the vacuum of space should have energy at all. Quantum-field theory posits a profusion of virtual particles that briefly come into existence and then disappear—a seemingly outrageous idea, but one that has allowed quantum theorists to make extremely accurate predictions of how ordinary particles interact. These virtual particles could be behind dark energy's repulsive force. Big Bang, Deflated? Universe may have had no beginning at all! Apparently it's all about dark matter and "quantum" stuff. EarthSky gives a little hope for this cosmological chestnut. What Happened to the Universe's Primordial Hydrogen? However, when our universe was about one billion years old, it appears that nine out of every 10 of those original hydrogen atoms were destroyed before they ever found their way into galaxies. Exactly when and how were those first atoms in the universe destroyed? Astronomers have puzzled over these questions for decades. I'm leading a new experiment – known as the Hydrogen Epoch of Reionization Array (HERA) – that we hope will help answer what happened. The video at Aeon is a bit more entertaining and informative. (T)he authors suggest that distant and red-shifted (though otherwise visible) galaxies could have their light absorbed by gas and dust in the void of space, then re-emitted in infrared and ultraviolet wavelengths that are invisible to human eyes. Terrible article layout. Is it necessary to have desktop wallpaper-sized images every five lines? It was previously thought that the observable universe had about 100 billion galaxies – until the new study found far more. About Those 2 Trillion New Galaxies . . .
Maybe you saw today's news that the universe contains "10 times as many galaxies as astronomers previously thought." Well, there's 10 times less to that announcement than meets the eye. But the real news is interesting enough. 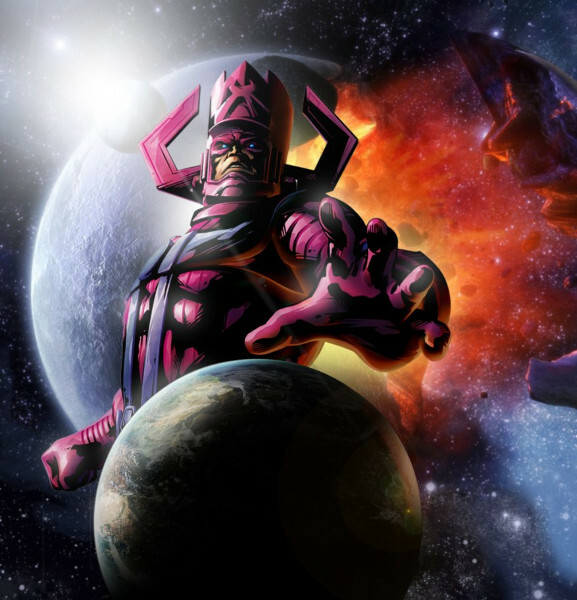 Of course long-time Marvel fans know Galactus is the sole survivor from the civilization destroyed by the Big Bang. Not exactly cosmology but close enough. It's like the galaxy's biggest fart! They're recapitulating a previous link in this thread about the universe's expansion not accelerating, as previously believed, but it has an impact on the theory of dark energy. IMO dark energy and dark matter will be the luminiferous aether of the 22nd century. As seen with a radio telescope in the West Australian outback, the our universe resembles a psychedelic piece of pop art. Recently, when simulating the quark-gluon plasma using a supercomputer, researchers found that the "soup" produced structures shaped like rings and vortices. Moreover, the viscosityof the fluid — its resistance to deforming — in the simulations was nearly as low as it could be and still followed the laws of quantum mechanics, the branch of physics that deals with extremely small particles. The simulated plasma was a superfluid, or a fluid with nearly zero friction, the researchers said.